A Massachusetts divorce can be a stressful, emotional, and financially challenging time. Susan T. Perkins understands this and offers compassionate, knowledgeable and experienced legal counsel. You should have the right attorney fighting to protect your rights. Whether you are a father who wants to protect your rights in a child custody battle or a high net worth individual who wants to protect your assets as much as possible Susan T. Perkins can help. There are two types of divorces in Massachusetts “at-fault” and “no-fault.” Massachusetts divorce laws have seven grounds or reason for an “at-fault” divorce; these reasons include adultery, desertion, alcohol or drug abuse, abusive treatment, non-support, impotence, or a prison sentence longer than five years. The only requirement for a “no-fault” divorce in Massachusetts is that the marriage is broken beyond repair. Because of the requirements, most divorces filings are for a “no-fault” divorce. Within these divorce filings, there are also contested and uncontested divorces. A contested divorce means that one person disagrees with the divorce or the terms while an uncontested divorce that both parties agree to everything they file. Most divorces start out as contested because both parties rarely agree on everything from the start. The idea is to reach an agreement that through meditation and discussion that both parties agree with. This process can be long and difficult, that is why you want a Massachusetts divorce attorney with experience on your side. One of the best ways to come to a mutually beneficial agreement with your spouse is through the mediation process. Sitting down and talking outside of an actual court setting can make all the difference in the discussion. Many states require mediation. However, Massachusetts is not one of those states. Mediation can often lead to a quicker resolution in your divorce proceedings. There are also costs saving involved as compared to standard court hearings. Discuss the possibility of mediation with your Massachusetts Divorce attorney. Save Money: Lengthy divorces can be expensive. You also do not want to trust the least expensive divorce attorney with determining your future. Saving money will allow you to fight for your rights the best you can. Gather Financial Information: Gather relevant and current financial information. Make sure that you have all of the information on your finances as well as your spouse’s. Find a Secure Place to Send Your Mail: Opening a P.O. box or asking a relative or friend to allow you to have your mail sent to their house is a good place to start. You want to make sure that your information is secure and can’t be used against you at a later date. New Bank Accounts and Credit Cards: Make sure that you have a secure place to put your money as well. Continuing to use joint accounts or credit cards is a recipe for disaster. Print Your Credit Report: A credit report can help your attorney determine if there are any suspicious activities during the divorce process. Inventory Your Property: Making a list of all of the property that you entered the marriage with will ensure you leave the marriage with the same property. Update Your Will: If you die during a divorce and your estate plans are not up to date, your spouse will likely receive most of your estate. Attorney Perkins’ is willing and able to help you with all of you Massachusetts divorce and family law needs. She can also guide you through your Massachusetts child custody battle and alimony case. Susan T. Perkins is a member of the Massachusetts, Connecticut, and Rhode Island Bar Associations. If you are getting a divorce in Connecticut, Rhode Island, or Massachusetts Susan T. Perkins can help. 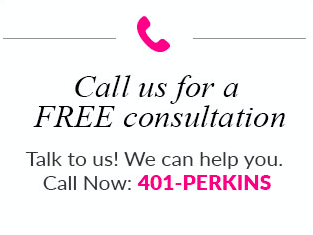 Contact us today or call us at (401)Perkins (401)737-5467 to find out how we can help you proceed.